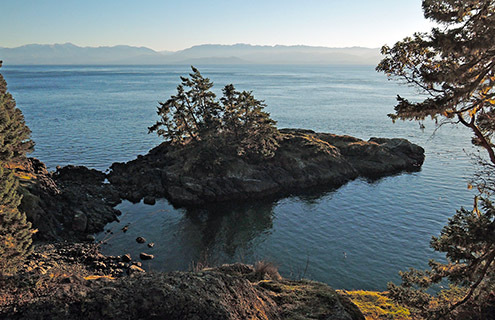 Just forty-five minutes outside of Victoria lies yet another outdoor lover’s paradise: Sooke. 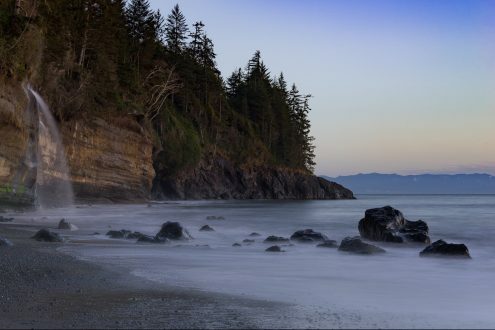 Giving way to the Pacific Marine Circle Route (Hwy 14), the area is considered the gateway to some of the most stunning Olympic Mountain vistas and winding, ocean-side roadways on the Island. The quaint district is tucked away between towering coastal rainforests, naturally twisting rivers, tumbling waterfalls, beautiful beaches and rugged coastline. 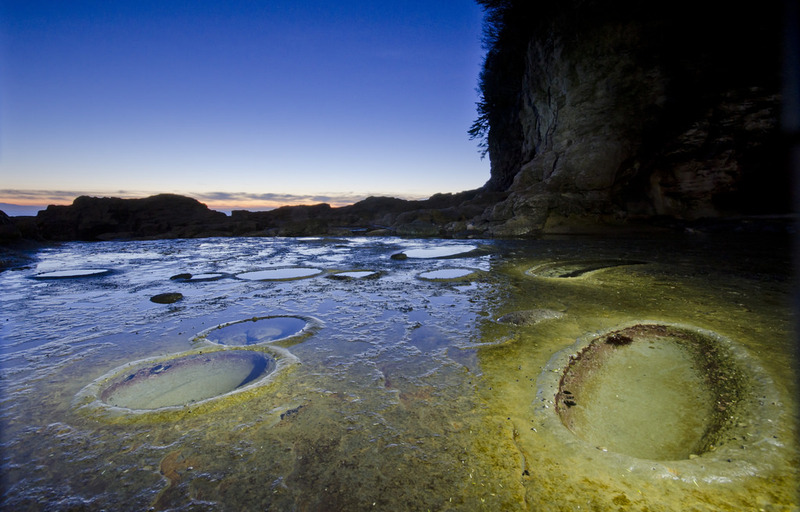 Its name comes from the T’Sou-ke First Nation, the area’s original inhabitants. 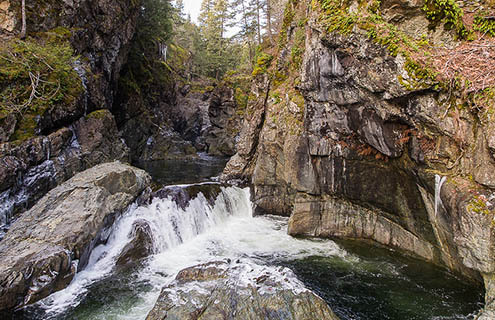 They lived there undiscovered until Spanish explorer, Manuel Quimper, stumbled upon Sooke in 1790. 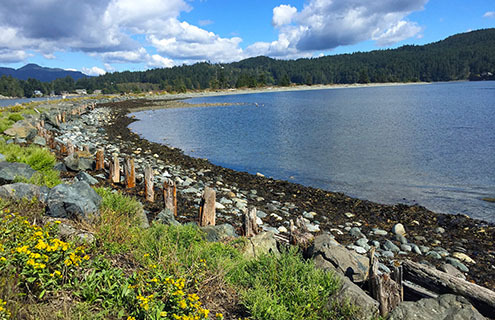 Today, Sooke has a vibrant art community and sees plenty of activity due to its easy accessibility via Highway 14 and, for avid bikers, the Galloping Goose Trail. 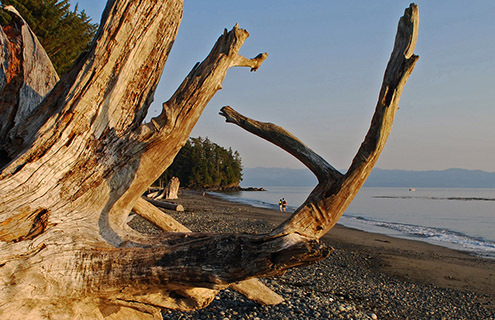 Numerous hiking hubs dot the area and plenty of regional and provincial parks lead tourists into the woods to discover the beauty of Vancouver Island’s unique climate. Nearby beaches, many of them famous worldwide, attract all types of watersport lovers, whether it’s for kayaking, scuba diving, surfing, fishing, standup paddle boarding or windsurfing. Plenty of campgrounds entice surfers, hikers, families and explorers to spend at least a couple nights getting back to nature. Sooke and its surrounding area pretty well have it all – even British Columbia’s first meadery! 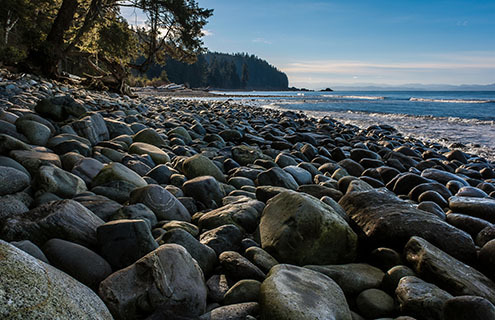 To truly experience the remoteness of the rugged west coast, visitors make their way to the humble town of Port Renfrew. Home to a couple of intimate music festivals and zero cellphone reception, Highway 14 terminates at a government pier in the tiny town. 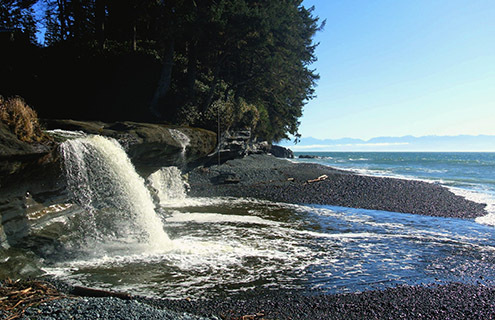 Highlights of the area include Avatar Grove, Botanical Beach (a geologist’s paradise), the western endpoint of the Juan de Fuca Trail, the West Coast Trail and a legacy of excellent Salmon and Halibut fishing. Other areas a bit closer to Sooke include Shirley, home to the bustling Shirley Delicious Café (try the hot chocolate!) and Jordan River. 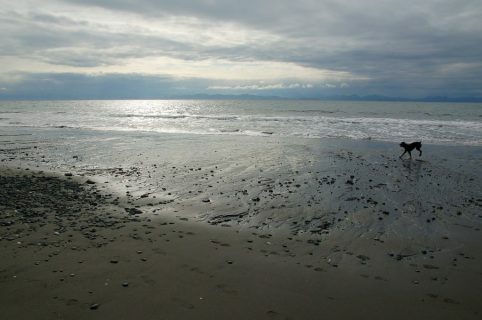 JR, as it is colloquially known, beckons to cold-water surfers as, on days when the waves are pumping, it offers an unbeatable point break and competes with Tofino for the best surfing on the Island.